Hello! 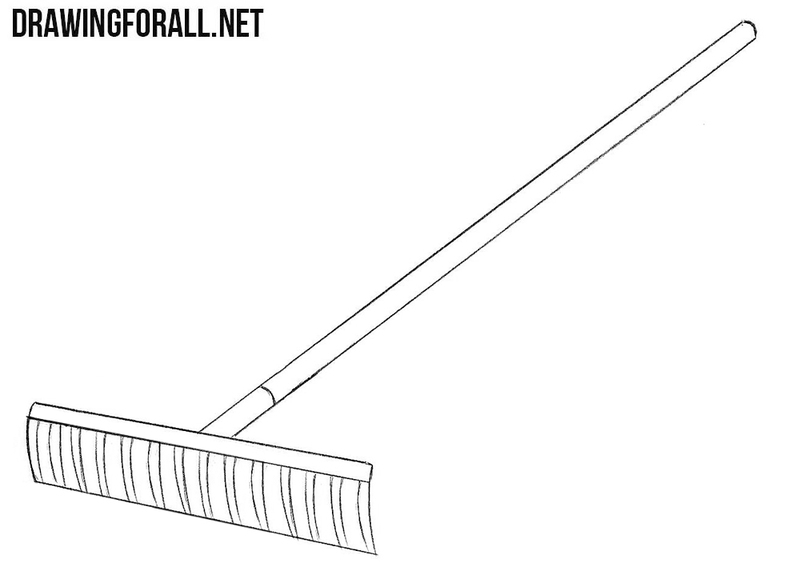 Today we will tell you about how to draw a rake. 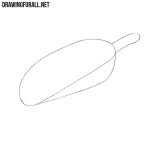 In this step we will draw a stick…no, not a stickman. 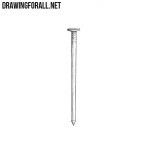 We will draw just a stick. Now we wil draw rake’s metal part. 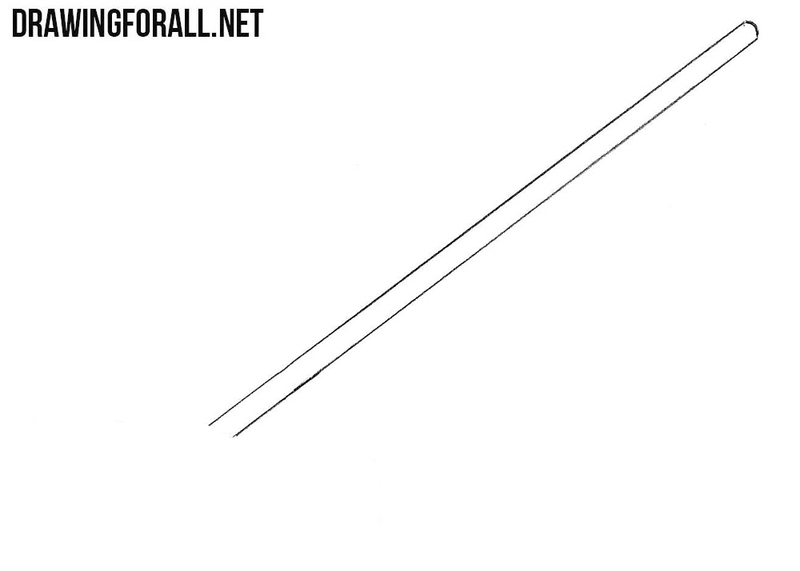 This part looks like an ordinary parallelogram. Let’s draw long and sharp teeth. 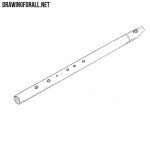 You can draw them larger than in our example. The last thing we will do in this drawing lesson is the erasing of the lines between teeth. 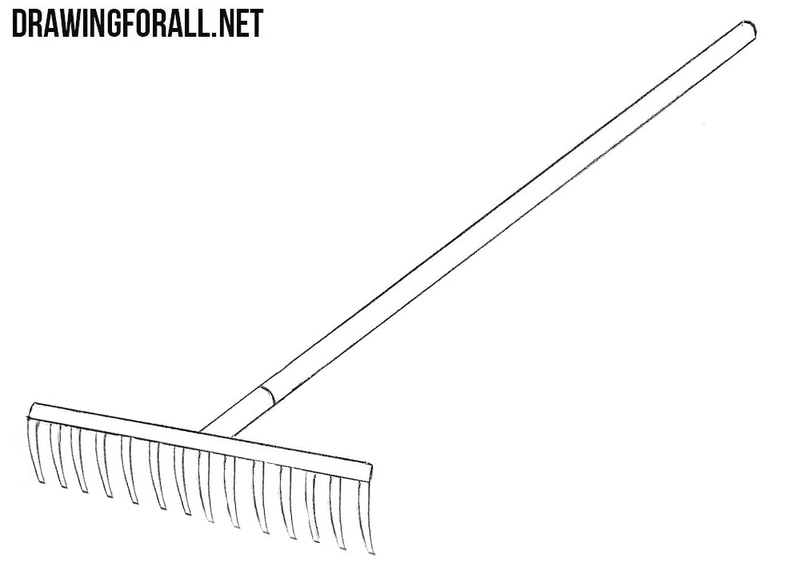 It was a really easy tutorial in which we showed how to draw a rake. 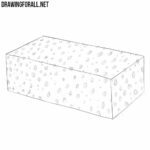 Don’t forget to visit our website to read a new drawing tutorials. Goodbye!